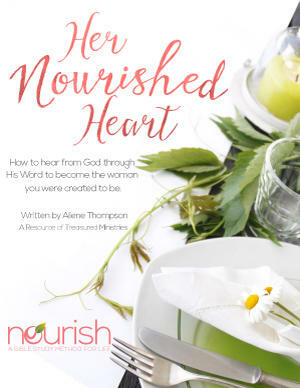 Discover the Nourish Bible Study Method find truth for the life you were created to live and give to others. Nourish is a proven three step approach to Bible study designed to help you find truth, confidence, and direction for the life you were created to live. Here’s how the Nourish Bible Study Method will give you a life-giving experience as you spend time with God in His Word. Connect with Jesus by studying the Scriptures and allowing the Holy Spirit reveal truth in those scriptures. Apply the truth using our IMPACT acronym questions and create an impact on your life and the lives of those around you. Renew your mind with truth to anchor God’s Word in your heart. Put this life-changing discipline into your daily routine using our practical method to change the way you think and live.